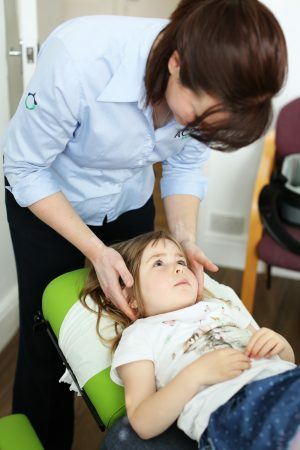 As statutorily regulated primary healthcare professionals, our chiropractors Philippa and Hannah are trained to treat people of all ages, from the very young to the very old. Your chiropractor will adapts their treatments to suit you and your specific needs. It is this unique aspect of care which means chiropractic treatment is suitable for everyone. Lower back pain and pelvic pain during pregnancy is common, but not normal. Chiropractic for expectant mums is very gentle and relaxing. In addition to hands-on care, you will receive support to help you cope with the changes your body undergoes during pregnancy. We combine a range of techniques with bespoke advice, specific exercise recommendations and more. The chiropractic treatment table can be adapted to accomodate your growing bump. In addition, our clinic has specialist pregnancy equipment such as the Belloost Pregnancy Pillow to allow you to lie comfortably on the treatment table during all stages of your pregnancy (please view the video below to find out more). Philippa is a member of the Royal College of Chiropractor’s Pregnancy and Paediatric Faculty. Only chiropractors who have undertaken specific further training can join this faculty. Hannah has done extensive further training in managing pregnant mothers, infants and children, including training in cranial sacral therapy. You can be sure you are receiving the highest level of care for you and your ‘little acorns’ when seeing Philippa or Hannah in clinic. We welcome patients of all ages at Acorn Health. Treatment for little ones involves very gentle techniques performed using very light pressure. In fact, it is less pressure than what you would use to check the ripeness of a tomato! Our Little Acorn appointments give us an opportunity to examine your little one in a thorough and unhurried manner. We may ask you some questions about your pregnancy, the birth, and your child’s developmental milestones. We often rely on the information we receive from the child’s caregivers to help us during treatment. Our highly experienced chiropractors tailor the appointments to suit your child. We will involve you in every step of your child’s journey.